The challenges converters face are multi-fold. From substrate and ink changes to workforce training gaps and everything in between, stakeholders are continuously looking for ways to lean out their operation. Workflow productivity is a key factor in converter profitability and when it comes to flexo and digital presses, productivity metrics vary immensely. Such a simple term for a most impactful feature, job save provides the automation needed to streamline the setup process. Available in modern flexo press lines like the Performance Series E and the latest digital hybrid presses like the Digital Series HD, this automated process provides the efficiency needed to work through more than one job with less downtime for manual adjustments. 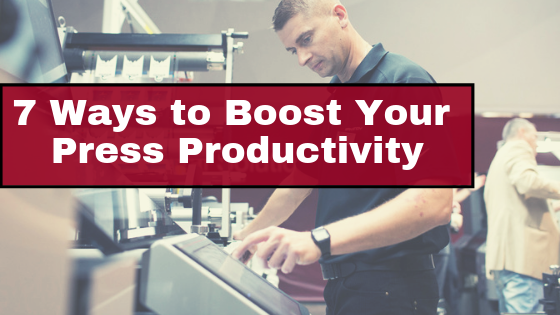 By allowing your press operators to do more with less time, your productivity increases your bottom line. 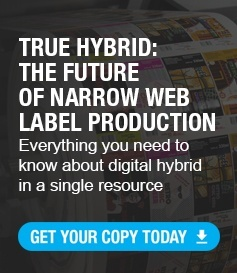 Mark Andy flexo presses - also the foundation of the Digital Series HD hybrid press - continue to be innovated with more servo-driven engineering, allowing for tighter registration providing a better operator experience. From the dual-servo P5E and P7E to the Performance Series P9E, which is built standard with new servo-controlled impression adjustment, independent servo-driven anilox rolls, servo side adjust and 8 servo motors per station, converters are provided their preferred level of ergonomic efficiency to maximize productivity. 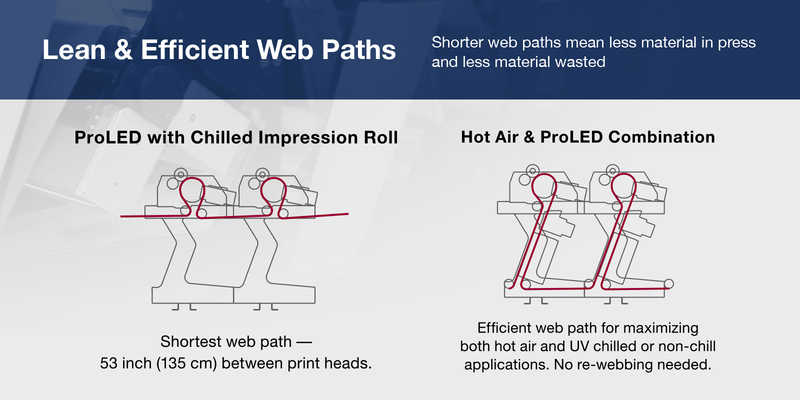 Did you know that shorter web paths mean a big increase in waste savings? Be it material, energy or time, converters are seeing higher productivity through this feature. Die setups and quality control are one of the most cumbersome parts of the printing process. When using a cassette based system like Mark Andy’s Quick Change Die Cut™ (QCDC) solution, users can load a die into station without a hoist and automatically position and set die pressure. This equates to a faster print station set up time and less strain on the operator, majorly improve print station set up times with this easy to operate technology. How would full changeovers in under three minutes and cylinder changes in under 30 seconds improve your productivity? Downtime is a huge factor in converter profitability and with the modern flexo technology of the Performance Series E, efficient changeovers ensure maximized production time. The numbers don’t lie: modern flexo owners consistently report 60% faster changeover times and a 50% reduction in their material waste compared to legacy flexo technology. No matter the industry, having the right partners can drive success for a business. Mark Andy has evolved to become a full lifecycle solutions provider for our customers. Simply stated: we source equipment, supplies and services for the packaging market. 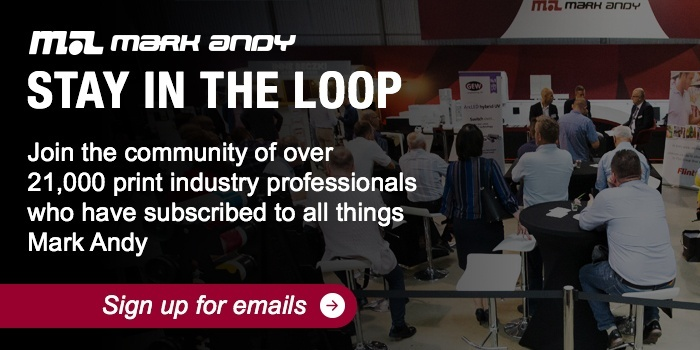 By offering training and ongoing education, technical support, supplies through Mark Andy Print Products, offline finishing solutions through Rotoflex and more, Mark Andy is postured to be the supplier of choice with high quality, innovative solutions that drive customer profitability. Be sure to consider these factors when evaluating how to maximize the productivity of your future investments. Are there other elements to keep in mind when measuring the productivity of flexo press capabilities? Be sure to comment below and let us know!